Victoria Police Officers protect life and property, detect and apprehend offenders, and help those in need of assistance — performing duties that are diverse, stimulating and challenging. Police Officers are first on the scene at any reportable crime or public need and provide this service to the community 24 hours a day, 7 days a week. 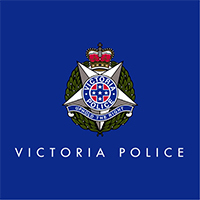 The majority of Victoria Police members work as General Duties Police Officers but there are also many specialist roles (water police, detective, prosecutions, forensics etc.) that require further training once you’ve completed a minimum of two to four years of general duties policing. While the role of a Police Officer is challenging, it is also rewarding, providing the opportunity to make a difference to the Victorian community every shift. At Victoria Police you’ll enjoy lots of benefits, like world class training, great pay, ongoing job security and the opportunity for career advancement.